Completing your full PADI Open Water Certification is the route to a world of endless scuba diving possibilities! Throughout the world, there are hundreds, even thousands, of amazing dive sites ranging from gorgeous coral reefs, to splendid and historic shipwrecks, to mysterious caverns and caves. The world beneath the surface of the water is one unlike anything on land. And once you are a PADI Open Water certified diver, the underwater world is yours to explore! Consistently rated as one of the top destinations for scuba diving, the islands of the Bahamas is the ideal place in which to start and complete your Open Water certification. The Bahamas are home to hundreds of excellent diving locations, including diverse coral reef ecosystems, dozens of shipwrecks, blue holes, and ocean walls, not to mention the truly awe-inspiring shark dives and dolphin dives! Getting your scuba diving certification in the Bahamas is an excellent way of introducing yourself to the world of scuba diving. We have a variety of Bahamas certification and Bahamas instruction courses. The courses vary in terms of what they offer you and how close they get you to a full certification. Some of the courses, such as the Open Water Referral Course and PADI Open Water E-Learning Referral Course help you complete an already-started certification. 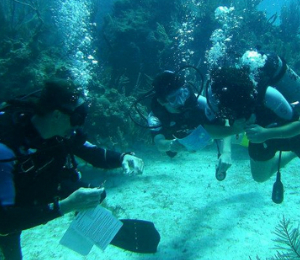 Others, such as the Scuba Diver course, get you started towards the path of certification. And still others, like the Open Water Certification Course, includes the full certification from beginning to end. And then there’s of course the Dive in a Day Course which is not quite a certification, but an awesome way to introduce yourself to scuba diving to see if it’s really for you. 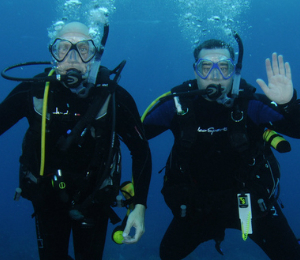 In both Nassau and Freeport we work with only the most well-established PADI-certified dive instructors. 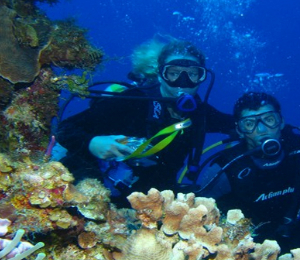 Our team of dive instructors are very experienced and extremely knowledgeable in the world of Bahamas scuba diving. 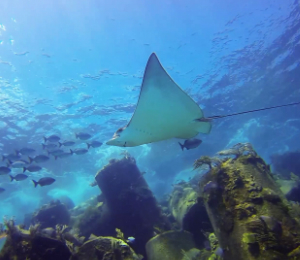 They will be there to show you how to use all your gear and how to navigate the underwater world of the Bahamas. Who knows, maybe one day you might even seek to become a dive instructor yourself!